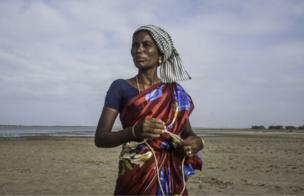 Photographer Deepti Asthana documents the lives of a family of fisherwomen whose husbands deserted them. Muthukaraupayi, 52, was abandoned by her husband 24 years ago without a legal divorce or compensation. 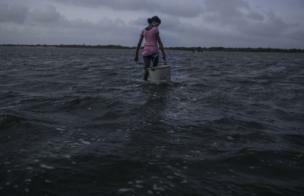 She has since been working as a fisherwoman to support her two daughters. 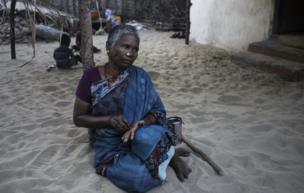 They live in a fishing village, Dhanushkodi, in the southern Indian state of Tamil Nadu. 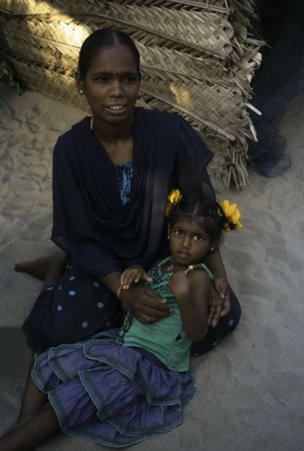 Her daughters - Amudha, 26 (left), and Selvi, 29 (right) - were two and five years old respectively when their father left. Like most girls in the village, they had few opportunities growing up. Both married before they were 18, the legal age for marriage in India. Selvi started working with her mother when she was eight. She never went to school. She fell in love with a neighbour and fell pregnant by 14. They married but he left soon after and she fought for divorce over the next eight years. Her son, Nambudivin, is now 14. She says he never asks about his father. She doesn't want him to grow up to be a fisherman. She wants him to work in an office. Unlike Selvi, her sister, Amudha (right) went to school and studied until her early teens. She wanted to study further but her mother could not afford to send her to school after that because she needed her to work and earn a living. Amudha now has two children, including a five-year-old daughter. Amudha's husband left her two years ago - she says it was because they fought over his drinking. 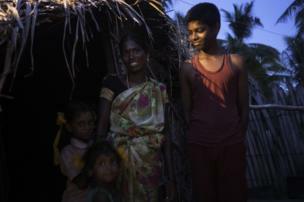 In rural India, there are usually no legal proceedings for divorce, alimony or custody of the children. Instead, village elders intervene to solve marital disputes. Girls in the village start fishing at an early age. Families often start saving early for their dowry and weddings, which can be very expensive. 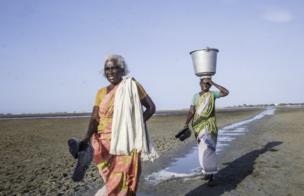 The life of fisherwomen is harsh in villages like Dhanushkodi. One in 10 women in this village have been deserted by their husbands. And because marriage is seen as the most significant aspect of their lives, these abandoned wives can face discrimination. They rarely remarry.